Its an interesting paper. What It lacks is an explanation of if these 'features' are part of the original design of a later 'change' which I believe fundamental to the secrets of Stonehenge. If tomorrow I placed a couple of stake holes of a some ashes of a loved one in an astronomical alignment - is it important or of any consequence to Stonehenge? We know that Stonehenge has been altered in various ways in the past - at what point do these alterations become immaterial? If the clustered remains on the SE Sunline do reflect intention, in my opinion they represent events that transpired prior to raising the Stones in the center. The phasing of interment over cremation was occurring around that time and indicates that this sightline was celebrated from the earliest days of the Monument. Though I contend that the Moon was of primary importance at that time, there's overwhelming evidence that the Sun was also well observed. The reverse took place when the Stones went up. The Moon is part of the scheme, but the Sun took precedence. Life had become more important than death. So then, positioning the Great Trilithon in this way reinforces the argument that the sunline was acknowledged and intentional, while the clustered remains act as a bolster for the theory. If they were in a single alignment Neil you may have had a point (or we had radio carbon dates that are matching? )- but as they are scattered, it would seem a logical deduction that they are post original design (Phase I) additions, which is reinforced with the cremations found in AH holes which also indicated post original design? Hence my question at what point do we disregard the tinkering of later civilisations how altered the site - like the druids? I suspect that the Aubrey's first intent was to act as reliquaries for the dead. The posts or stones came later. I believe that cremation interment Was of original design and that the clusters of remains found at or near the thread's topic sunline was such that there was no room left on that line, so they sort of piled up -- as if just being near it was good enough. The place took, conservatively, 1200 years from start to finish. The population was far from static. There would be changes, and even if we had no evidence of it, we could infer that there was. But, we have scads of evidence for major changes at Stonehenge over the course of its useful life. But the one thing that sets this place apart from most others, is that many of the original ideas incorporated into it were transferred down the generations, emerging on the other side, certainly amplified, but intact. This speaks to the slow and steady growth of a stable culture. The Station Stones are a good example. The Heelstone another. Certainly we can see how the same sunlines were in continuous use. Oh, they got fancy and sophisticated with their la-de-dah big honking rocks, but the fact remains that all of the later stuff was like an Illuminated document. Looks pretty impressive at first glance, but the content is the same as it always had been. Now if you want to talk about the Y&Z holes, that's a story about tinkering that occurred long after the original purpose had been lost. Searching for lost keys under the street light because the light is better? Is there something wrong with me that when I read articles like this one, I hear echoes of "Motel of the Mysteries"? No disrespect intended, and if noted, apologized-for. Hello Tim, I liked your paper, but think as the stone has been re-erected, it will be difficult to prove that its skewed alignment towards the midwinter sunrise/set was intentional. 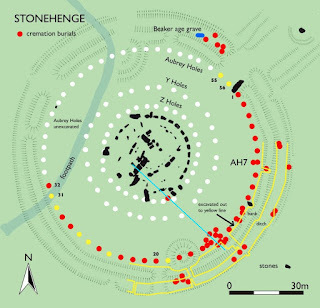 Surely the importance of finding the cremations within the circle, shows that it is a solar/lunar aligned burial monument, like the hundreds of others found throughout North-Western Europe.This information can then be used to reconstruct the beliefs of the people of the Neolithic and Bronze Ages. I suppose an independent researcher, such as myself, has to enter the conversation and point out pertinent alternatives. Firstly, because nearly everyone has been drip fed "solar/lunar", the stellar option gets almost totally dismissed. Secondly, Tim's paper is hugely important because it presents a phenomenological perspective of archaeoastronomy, which has been almost drowned by the "Rugglean" statistical approach, and which has become almost a religion! To be brief here, Tim's separation to show "non-Aubrey hole" cremations is again critically phenomenological, because it highlights a sequential stellar pattern. This pattern suggests both a scientifically and "religiously" important observation of Sirius to be traveling along the local horizon, due to precession, in a northerly direction towards what we know as the putative stone-hole H. It is circa epoch 3400 BC that Sirius rises at the same point as the winter solstice sunrise as observed from a "station" in front of the "Twisted" Trilithon, and through uprights 53 and 54. The coincidence of Sirius and winter solstice rise is now fixed, and "precession" from there-on is followed vertically, due to the declination changes caused by precession. Neil Wiseman has stated there his belief about the presence of alignments before the stones were erected. I entirely agree. However, I haven't completed my dialogue with respect to the winter solstice aspects because of the complication of the stellar phenomena, which I have not yet decided how best to present. This is largely because I haven't yet got the data regarding the chronology of cremations to aid analysis against the hypothesis. I don't know if this exists and it may be that, if it does, the calibrated dates may be too course. But at least the hypothesis can be used to predict, for example, that a similar reverse chronology of cremation burials exists towards the winter solstice sunset alignment, as long as this alignment was not considered to be,or became, too "sacred" to be interfered with in such a way. In principle, like Neil, I believe that vertical timber posts could have existed at upright locations 53 and 54, before the stones were erected. I believe that Stonehenge is a marriage between science and ritual in a far more sophisticated way than we give our ancestors credit. Stellar phenomena require a very different approach, before statistics can/should be brought into the equation. Once upon a time there was a stone circle called Stonehenge which was a great astronomical calculator.... sadly the builders were unaware that if it was primarily built for such observations they would have built it either 500m to the East or West at the top of the two higher hills that surround the site (rather than halfway down a dry river valley) as the observational points and horizon would be much more clearer (from trees) and significant (for eclipses) - apart from that fundamental flaw...it's a great story! Where did I say, or imply, that Stonehenge was a calculator? I said "I believe that Stonehenge is a marriage between science and ritual in a far more sophisticated way than we give our ancestors credit." So you admit that you were wrong on that one then! and the reason is that it is part of an ongoing program to bring together archaeoastronomy and archaeology through the theme of "Skyscape"
Sounds like a astronomical calculator to me? I think that the presence of Solar & Lunar alignments are a far cry from the traditional definition of 'Archaeo-Astronomy'. The former acknowledges existing, static sightlines, while the latter introduces a complex system of calculated predictions. Quote: "Sounds like a astronomical calculator to me?" End quote. I was clearly talking phenomenology. If a scientist says that a particular sky phenomenon will occur regularly in a certain place on the horizon, all I need do, as an uneducated member of the community, is set up an alignment to that point using any fixed object as a foresight. Any prominent landmark will equally do. I then wait and eventually the phenomenon will be confirmed. There need be no "calculations" involved, and my setup is not a "calculator". If I'm then told that this is the case because an all powerful creator made it so, then I am likely to believe that, and at the appropriate time light a candle, or whatever, and pay appropriate respect or pray that the creator confers some benefit onto me...do it regularly and I am performing a ritual. When all members of a society do the same thing, collectively or individually then it becomes a cultural phenomenon. The study of cosmological impacts on cultures combines archaeoastronomy with ethnoastronomy, and runs under the title of "astronomy in culture". It's a complex multi and inter-disciplinary activity. Way beyond the scope of Tim's purpose behind this blog. Archaeoastronomy today is a far cry from what it was or how it was understood in the past, so one has to do their own research on it's history. This not the place to debate it. I'm pleased that we agree on several points in matters that could be regarded as contentious. I'm definitely a pragmatist, but you've certainly done the number-crunching and it's enlightening and quite helpful. Having been something of an avid astronomy buff for most of my life (so far) is among the things that attracted me to Stonehenge in the first place, lo those many years ago. Sadly, despite my efforts to effect what should be an easy, obvious resolution to the 'Stellar' question, I can find no evidence that indicates the Builders implemented stars in the design at any phase. The interpreted evidence for these appears to have a strong, alternate rationale. If the clustered cremation deposits are intentional, it would be with a Solar orientation. This is not to say I would deny the merit of a stellar 'celebration' so to speak. Sirius, Orion and Aldebaran almost certainly played big cultural roles with those folks. But I believe that the vaunted, if fuzzy, links between Avebury and Stonehenge are complimentary rather than associated. That is: Avebury for Stars & Planets / Stonehenge for Earth, Sun and Moon. The time-frame you offer for the Sirius/WSSR coincidence would fit a bit better at the north site than at The Pile. Sirius was a big deal there, as Orion was at Thornborough up in the Midlands. If you haven't read it, I recommend Dr Manuel Vega's 'Sailors of Stonehenge'. It's kind of a niche publication, but is loaded with very carefully considered astronomical info that I'm sure you'd appreciate. All I can say is that my archaeoastronomical info is also very carefully considered. It also extends across a wide range of sites and archaeological typology, as combined evidence. That's why I qualified my comments "To be brief...", in this instance. Avebury is totally incorporated in my investigations already. Thornborough I have reviewed extensively. 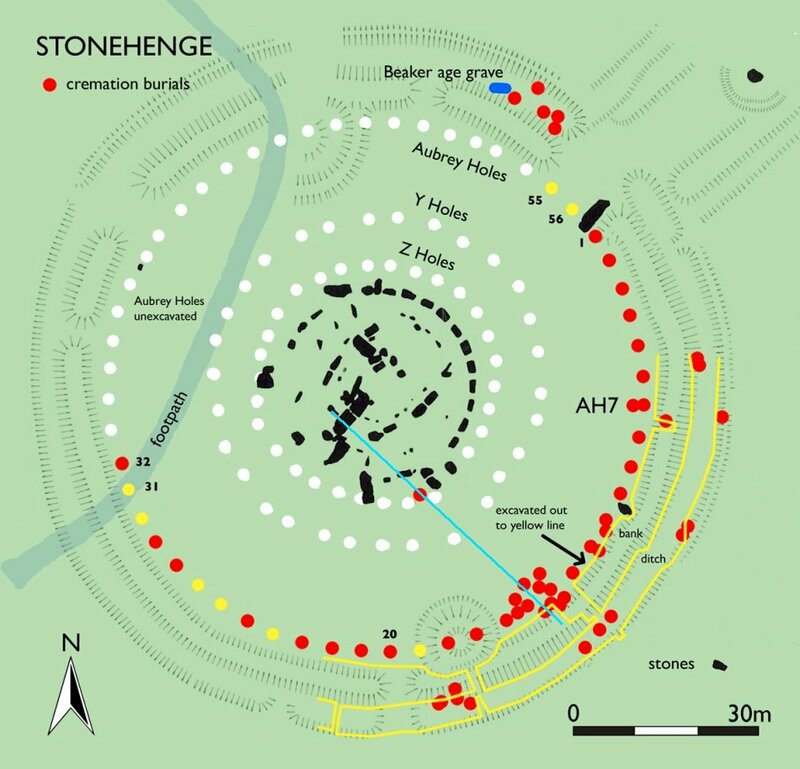 Whereas I consider that there are complimentary links between many sites, I take Avebury and Stonehenge as being "complementary", in short i believe, from the evidence of my studies, that they were designed to work together to memorialise the knowledge the designers possessed. I'm pursuing scientific investigation, results of which will be brought to the wider audience via a varied strategy for publication. Scientific accuracy is foremost. I saw an opportunity to mention something to Tim, and it's entirely up to him if he wants to take it on board. I posted here, rather than write to him privately because there may be many silent readers coming from the archaeology discipline, and I believe it is important to bring active archaeoastronomy investigation to their attention. What they do with it is entirely their choice. And I have read your review of the book you mention. Unfortunately, it did sound like a "great story" and I decided not to add it to my library as yet. It's one I will decide on in due course, as I come across and get to physically see. I note your comments about the astronomy content, so I might decide to seek out the book sooner rather than later. So thanks for that. As regards your comments, again I think we are beginning to understand each others standpoints, so I appreciate what you say, but only after I present my findings in full, or at least in greater detail, will the real dialogue begin. The initial reaction to my stellar option, is of course interesting and I really do take it with the seriousness that it deserves.